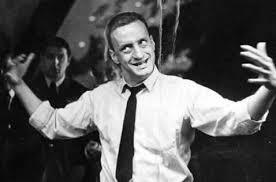 Dr. Strangelove plays this month on Turner Classic. 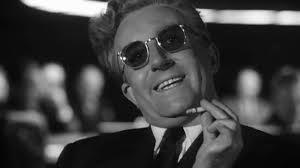 If you have ever reminisced about the Seinfeld moments in your life, you might appreciate these Seinfeldian moments in the film, Dr Strangelove or: How I Learned to Stop Worrying and love the Bomb. 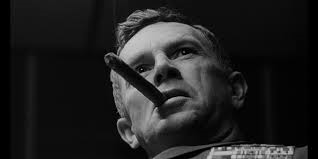 1) The Big Board: General Buck Turgidson is completely paranoid about the Russians being able to see “the Big Board”. Haven’t you ever thought about how childish the rules and games are that the highest in command play as they move people and entire cultures around on their imaginary chess boards? The music that plays us out at the end, We’ll meet again also closed out Stephen Colbert’s final show. 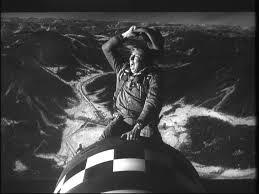 Dr. Strangelove lives with us on a daily basis. When Kubrick read the script for the thriller, Red Alert, he decided the only solution was to make a comedy. It was just too absurd in parts. 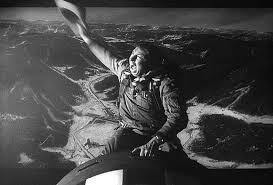 Unfortunately, like Kubrick, we can only see the way the super powers play games with entire nations and instead of shrieking or shrugging our shoulders, the only thing left to do is laugh at the absurdity of it all.